In this post I’m going to be answering that question, and explaining the difference between a “pyramid scheme”, and a legitimate business opportunity. My goal isn’t to change your mind or opinion. My goal is to simply inform and educate you on the business model of network marketing, and specifically Beachbody’s home business model. “A pyramid scheme is a non-sustainable business model that involves promising participants payment or services, primarily for enrolling other people into the scheme, rather than supplying any real investment or sale of products or services to the public. From the definition above, it explains that a pyramid schemes typically have have no “real” product and that those involved make money by enrolling new people. So Is Beachbody Coaching A Pyramid Scheme? Often times a company will have a low value product, but charge a high price for it. This is a way of trying to disguise a pyramid scheme as a legitimate network marketing company. Over the years there has been numerous companies shut down by the FTC. Unfortunately these illegitimate companies have given the entire industry a bad name. Many people have had a bad experience and been burned, and now speak badly of networking marketing in general as a whole. One thing to look at before joining any network marketing company is the product. Does the company have a “real” product that customers want? If the answer is “no”, I’d advise you to steer clear of that company. A second thing to look for is if there is an opportunity to make money without sponsoring new people, is there a product to sell to customers? If the only way to make money is by enrolling new people, you might want to reconsider joining that company. A good rule of thumb before joining any network marketing company is to ask yourself the question, “Would I use this product or service, even if I wasn’t a distributor or representative for the company?” If the answer is “no”, I’d recommend not joining that company. Does Beachbody have a “real” product that “real” customers want? The answer to this questions is definitely a “yes”. Beachbody creates great products that people. Beachbody has sold millions of units of their workout programs and the number of customers far outweighs the number of Coaches (distributors). Usually this is not the case with most network marketing companies, normally it is the distributors, with their own personal purchases that are accounting for the majority of the sales revenue for the company. This is one of the reasons Beachbody is in a class of its own when it comes to opportunity. The popularity of Beachbody’s products is unlike any other of any other network marketing company. 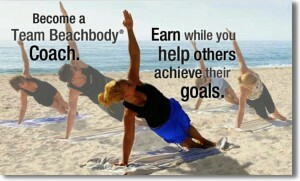 Can a Beachbody Coach earn money without enrolling new people? The answer to this is “yes”. In fact, I tell all of new Coaches that join my team that the majority of the income they will earn their first year in the business will come from the retail sales that they make, which involves no enrolling of new Coaches. Beachbody Coaches typically earn 25% commission on all of the sales that they make, how much they earn depends on how many sales that they generate. The sky is the limit! If you weren’t a Beachbody Coach, would you still use Beachbody products? To help understand Beachbody’s business model and why it is not a “pyramid scheme”, it is important to understand the history of Beachbody. Beachbody didn’t start out as a network marketing company. Network marketing wasn’t in the initial plans when Beachbody was formed back in 1998. It is important to know that Beachbody was already a profitable, successful company, and had the #1 rated infomercial in the country (P90x) when they launched their home business opportunity in 2007. Beachbody was a successful company before they launched the network marketing component of the business. If Beachbody was already a successful and profitable company, why would they get involved in some sort of pyramid scheme? That would make absolutely no sense at all. The answer is “NO”, Beachbody Coaching is NOT a pyramid scheme. I know that there are still people out there that will argue with me that it is, and I also know that trying to change certain people’s minds on certain subjects is futile and takes more energy than its worth. I could make this post a lot longer, and include quotes from people like Donald Trump, Warren Buffet, and Suze Orman on the subject of network marketing and the benefits of the opportunity, but it wouldn’t matter to those people that are closed minded and have their opinions set in stone. We all know someone like this. I normally try not to even get in a debate on the topic. I’m don’t want to change people’s minds, I would rather work with those that are open minded, motivated, ready to change, ready to learn, and ready to get to work. Will some people fail as a as Beachbody Coach? Yes of course, people will fail at everything they try. According to smallbiztrends.com and U.S. Bureau of Labor Statistics, 33% of all new business fails within the first 2 years, and that number jumps to 54% within 4 years. What is great about Beachbody’s business opportunity is that the cost to get started is very low, which means there is very little risk. Some people Coaches fail because they sign up thinking it will be easy, then give up and throw in the towel when they realize real effort is involved. The cost to get started is so low, people have little invested, so its easy to give up because they aren’t losing much. The low price of entry is a catch 22.